Kokovanya and Daryonka watch in awe as gems are created with each stamp of the Silver Hoof. The scene depicted here is from a fairy tale short story by Pavel Bazhov, whose stories are based on the folk tales of the Ural region of Siberia. 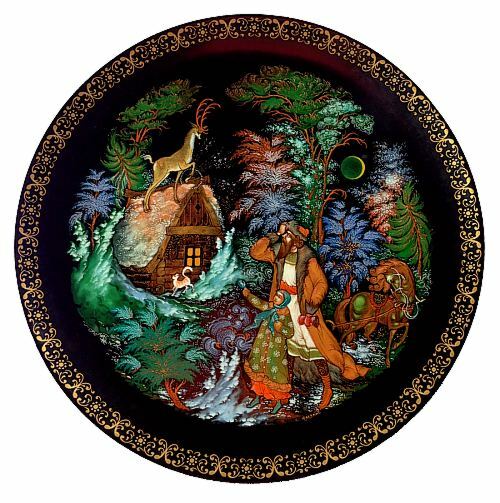 This gorgeous plate is based on the lacquer miniature by Palekh artist Sergey Adiyanov. The plate is in excellent condition and comes with the original documents and box.